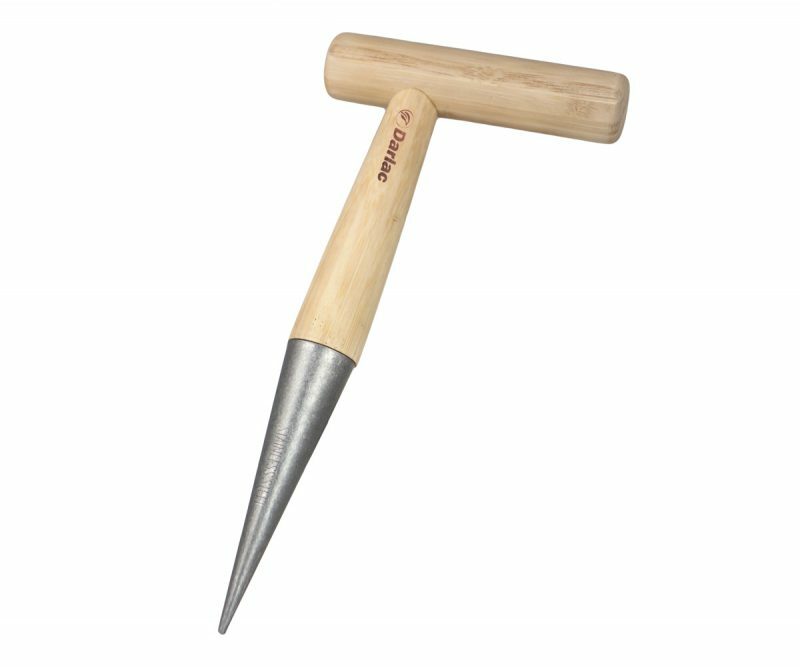 This versatile tool has five diverse applications. 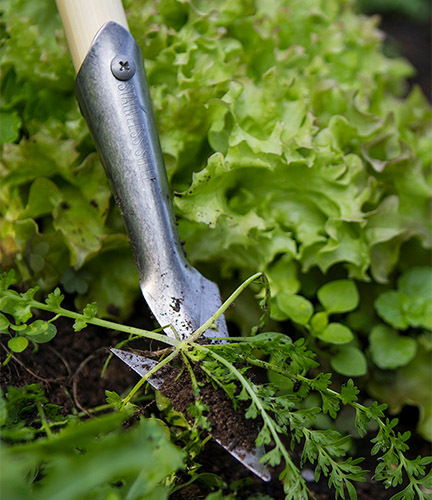 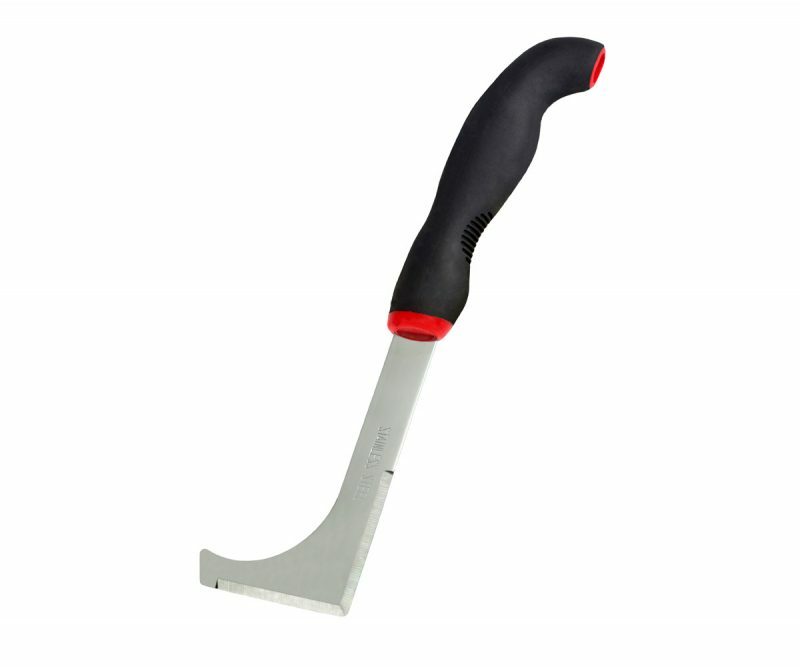 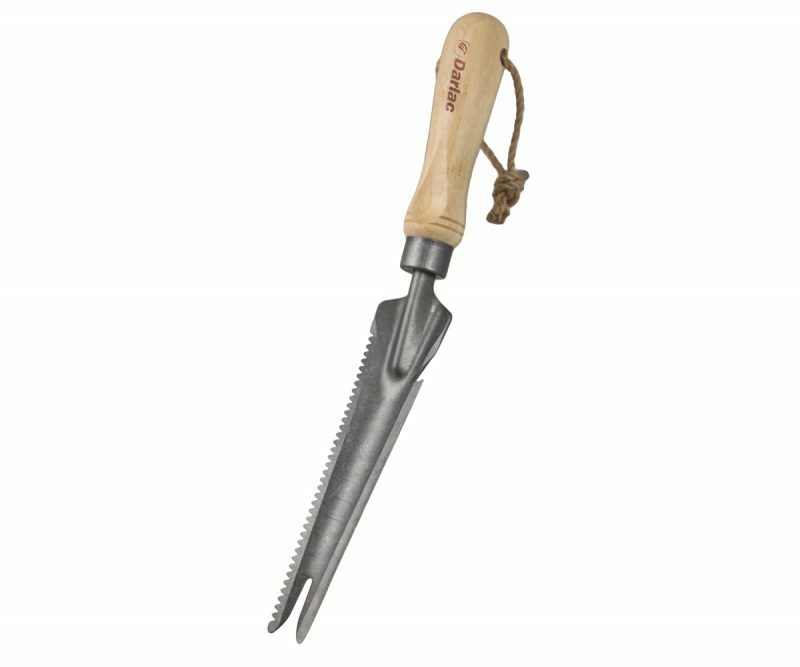 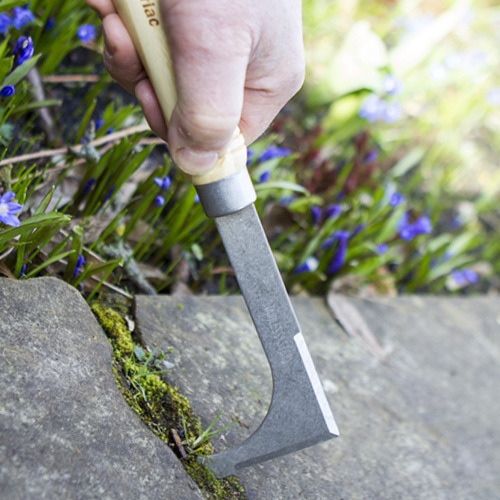 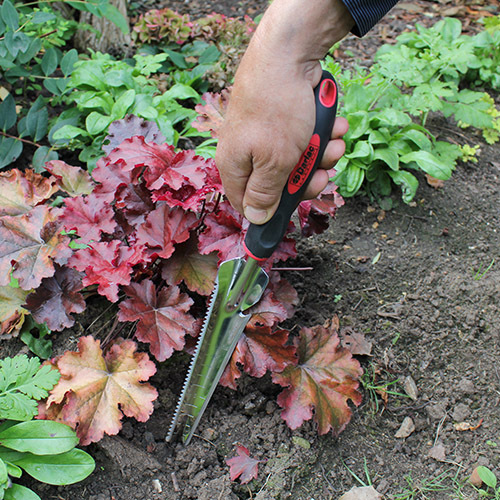 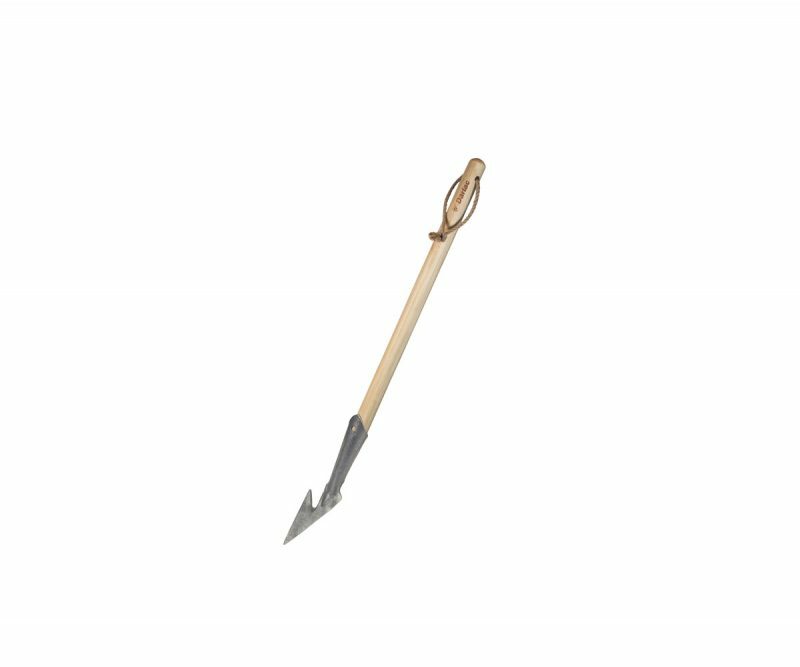 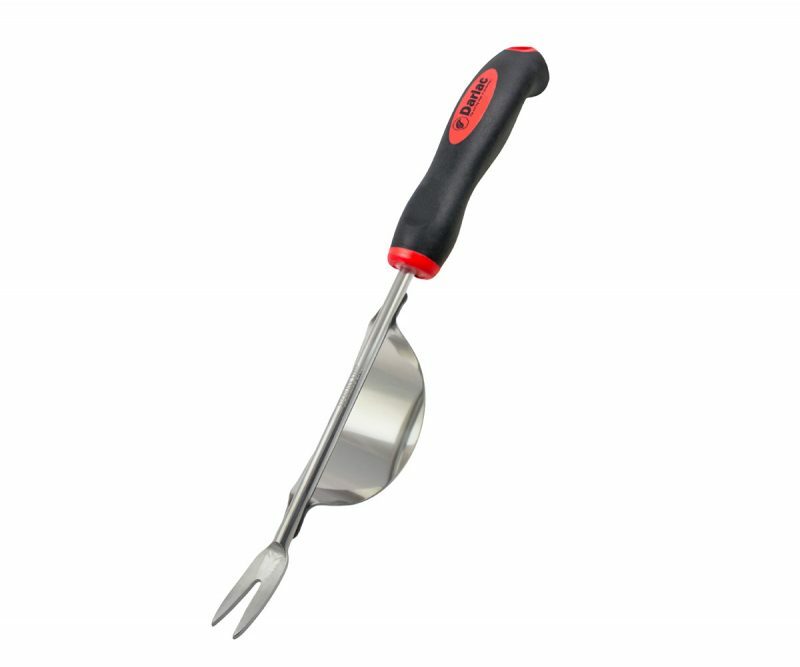 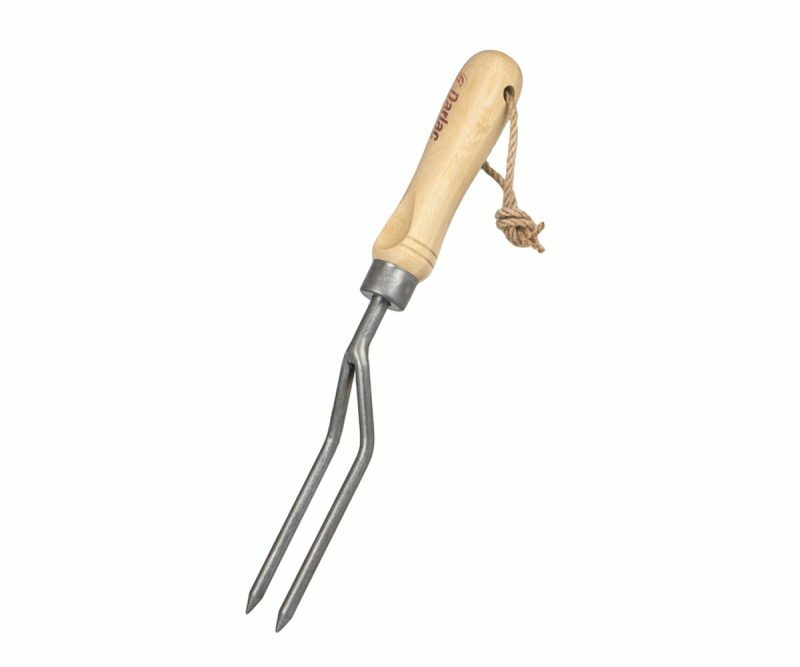 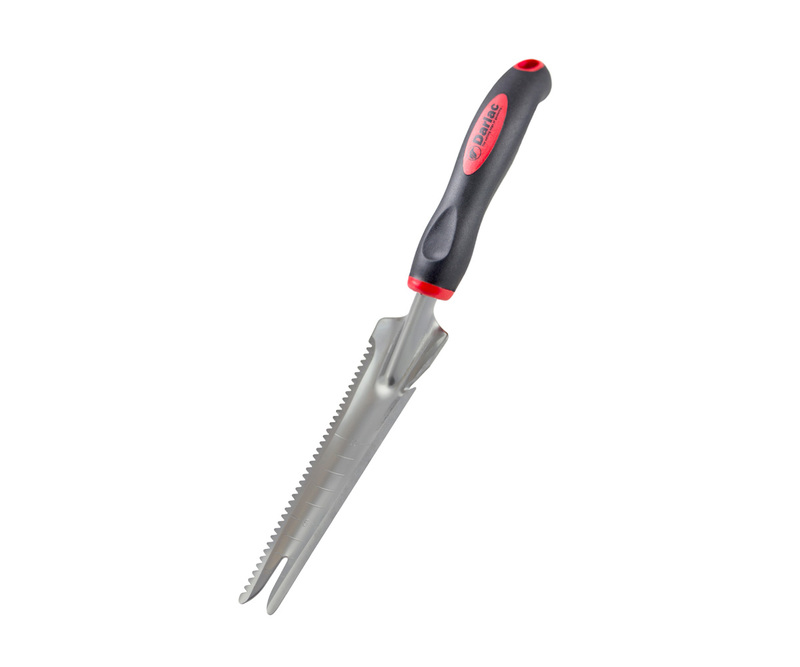 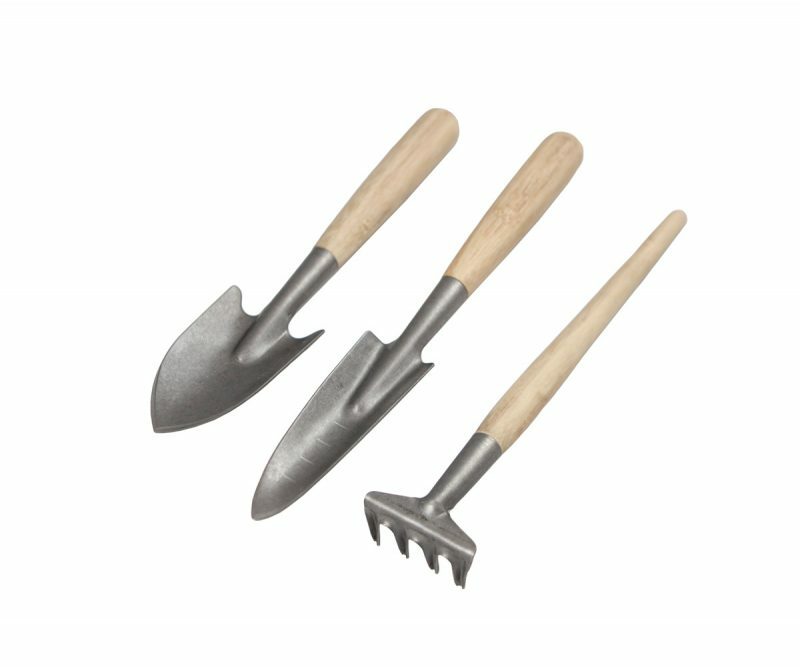 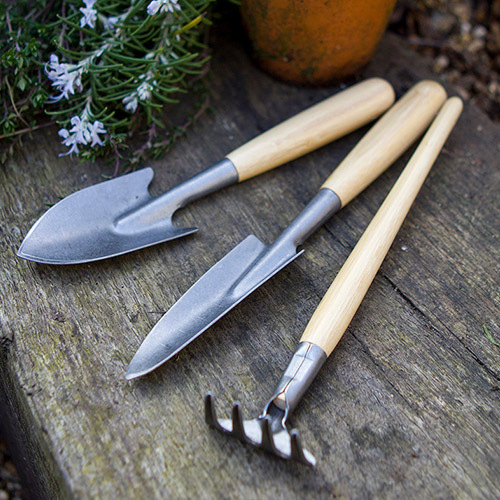 Use forked end for lifting weeds, the honed edge for easing plants out of pots and the saw edge to cut through small roots. 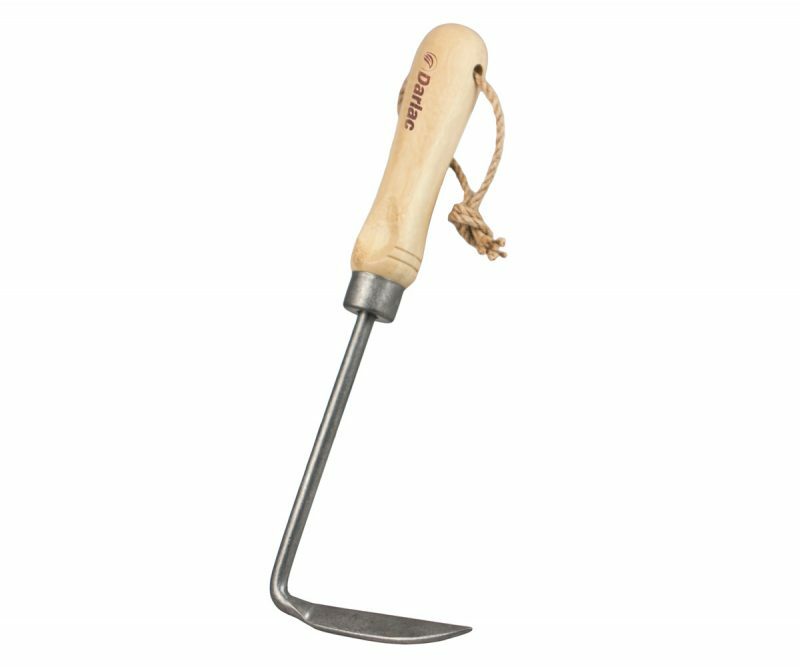 There is also a string cutting notch and a compost bag cutter. 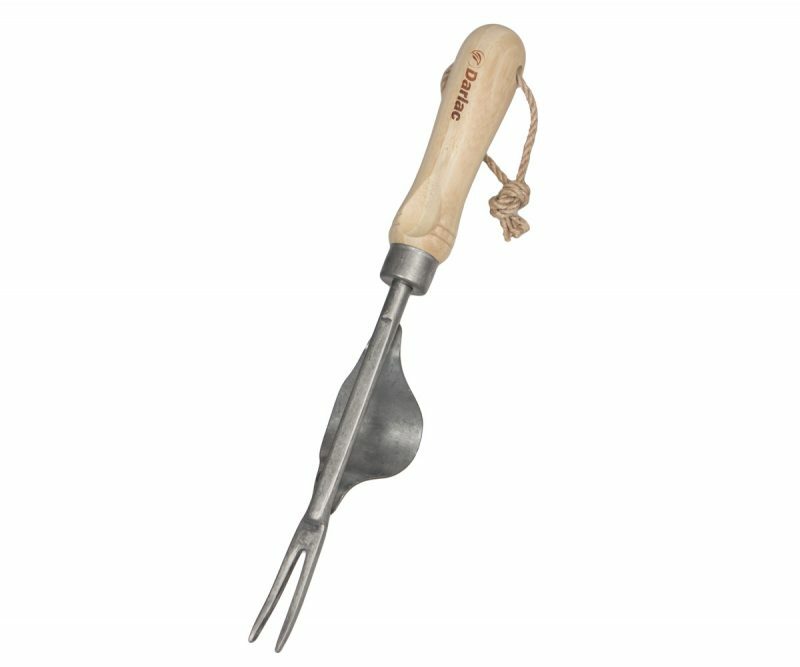 For use in cultivated soil only. 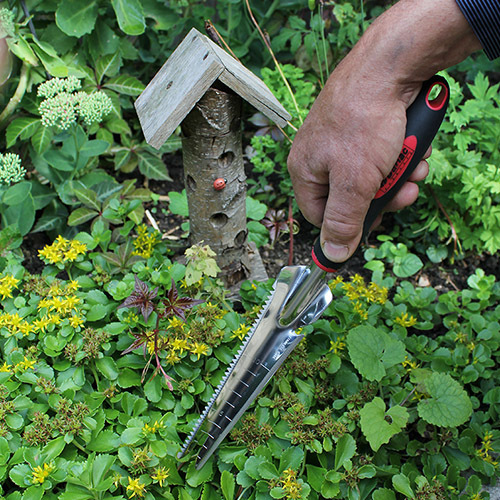 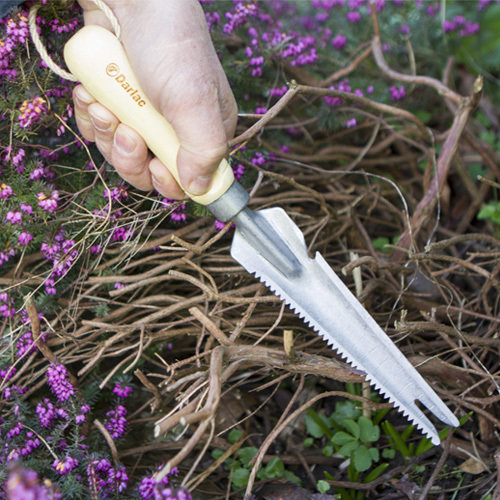 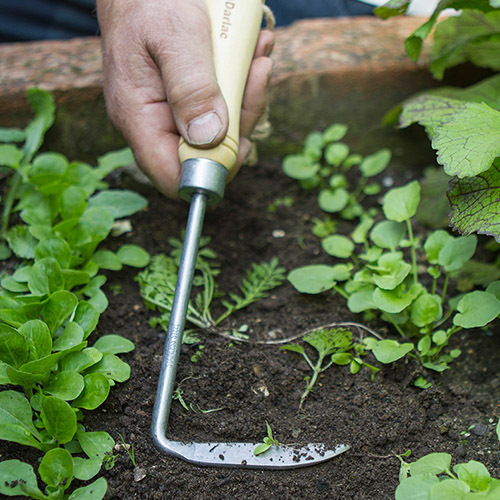 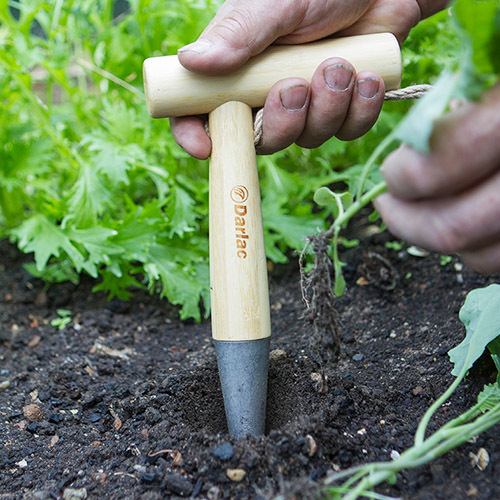 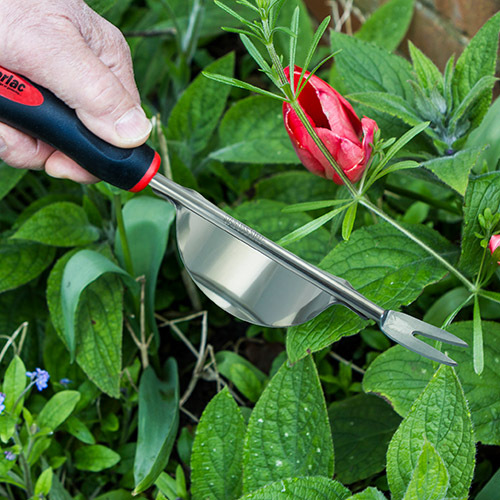 This is an indispensable gardening tool, the handle is comfy and doesn’t care whether you are right or left handed and I am sure it will last for years. 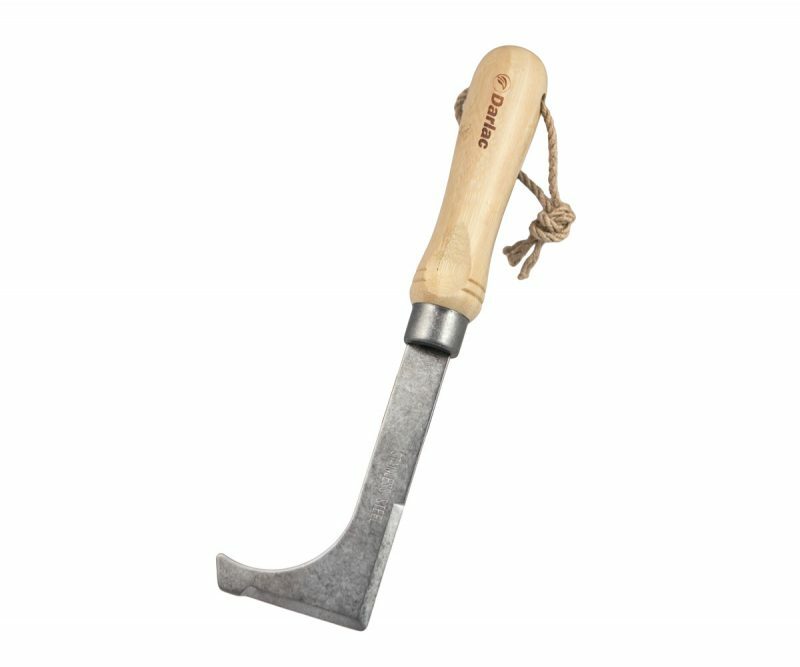 The ONLY grumble is that Darlac do not appear to make a holster for it and considering it has a saw and a blade it would be a good idea!